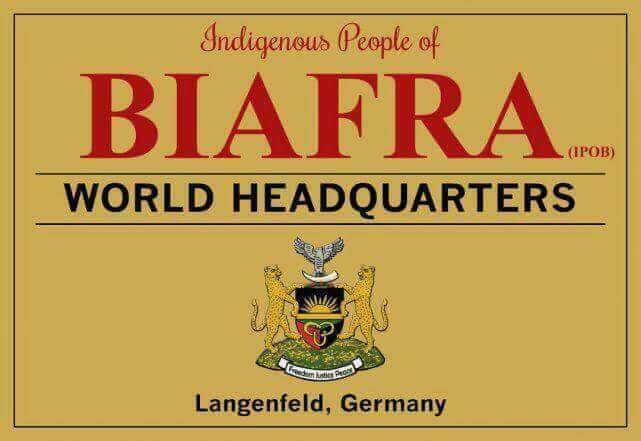 Following a recent statement by the Fulani Islamic dominated Nigerian Army led by Lt. Gen. Tukur Buratai regarding the impending commencement of another murderous season of Operation Python Dance across Biafraland, we the family members of the Indigenous People of Biafra (IPOB) and it's leadership worldwide wish to alert the public that Nnia Nwodo led Ohanaeze Ndigbo/South East governors sponsored Islamic massacre of innocent Biafrans is once again in the pipeline. 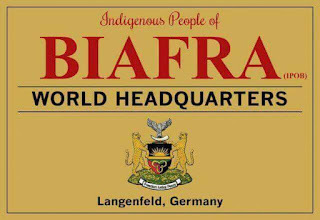 Let no one be deceived as to the real motives of the so-called Igbo leaders and Abuja based politicians, behind this latest round of impending slaughter of Biafrans. The bitter truth is that South-East governors, Lagos-Abuja based Igbo politicians who are dependent on the political patronage of their Fulani godfathers, with the active connivance of Ohaneze Ndigbo, are the people behind every Operation Python Dance that ever took place. These Igbo politicians see the periodic military massacre of their own people as a necessary sacrifice that must be made to ease their Fulani masters and ensure their political survival, electoral victory and relevance because they know in Nigeria true power belongs to the Fulani caliphate. To Nnia Nwodo’s Ohaneze Ndigbo and South East governors, especially Dave Umahi, Okezie Ikpeazu and Willie Obiano, the best way an Igbo politician can demonstrate his one Nigeria credentials is to actively participate or facilitate the wholesale slaughter of his own people. Should Buratai's Islamic soldiers march on the streets of Biafraland anytime in 2018 and beyond, Biafrans must hold Gov. Dave Umahi, Okezie Ikpeazu, Willie Obiano and Nnia Nwodo led Ohaneze Ndigbo responsible. More unarmed, peaceful IPOB family members has been killed in the past year than all Boko Haram terrorists and genocidal Fulani herdsmen put together. When Fulani herdsmen attacked and killed unarmed villagers in Nimbo Enugu State, no Igbo governor or Ohaneze Ndigbo asked for Operation Python Dance to defend the people. In fact they became dumb. It is common knowledge that Aso Rock refused to take the calls of Gov. Ugwuanyi. Commander of 82 Division Enugu and various leaders of state security agencies that litter couldn't be reached until the Fulani killers left. When it comes to the killing of peaceful IPOB family members, phone calls from Igbo governors and Nnia Nwodo are promptly answered and soldiers deployed immediately. Isn't it ironic that Igbo governors, Ohaneze Ndigbo, Fulani officers and soldiers that make up the bulk of the Nigerian Army, have chosen to ignore the murderous tendencies of Islamic extremism perpetrated by their own kith and kin in Boko Haram and Fulani herdsmen but have instead turned their rage and guns on unarmed IPOB fighting for their God given right to self determination? To make matters worse, the newly announced Operation Python Dance for the ember months of 2018 is coming on the heels of the discovery of yet more dead bodies of victims of Operation Python Dance from last year, in mass graves in Ukwa Ngwa Abia State in the past week. Ohaneze Ndigbo and Igbo governors will not even allow IPOB to finish burying those their Fulani masters killed last year before inviting them to come and kill us again. They have no regard for even the dead. The criminal and conspiratorial silence of Gov. Okezie Ikpeazu, Igbo governors and Ohaneze Ndigbo in the face of the discovery of mass graves in Abia State is damning proof that these men we regard as political and traditional leaders in Igboland especially are nothing more than lilly-livered traitors, quislings and cowards, only interest in serving the will of their Fulani masters. The number of IPOB family members killed extra judicially as a result of Operation Python Dance and associated military operations in the South East/South South by northern Islamic dominated Nigerian Army, run into hundreds, with many still missing and unaccounted for till date. Igbo governors and Ohaneze Ndigbo is silent on these atrocities because they are part of it as confirmed by IPOB intelligence that intercepted Gov. Wille Obiano's conversation with a top northern military commander in Onitsha Barracks. Therefore, we wish to alert the public that the same Igbo men involved in the planning and execution of Operation Python Dance across Biafraland last year are at it again this year. South East governors and Ohaneze Ndigbo should be held responsible should Buratai decide to march his Fulani Islamic soldiers into our land on another killing expedition designed to reduce the population of the South East. We wish to place it on record that Ohaneze Ndigbo led by Nnia Nwodo, current crop of South East governors and Igbo political contractors in Abuja and Lagos, will never be forgiven for their crimes and atrocities against our people. For the sake of electoral victory, money, contracts and political appointments, they have helped in the further enslavement of a long suffering people. They are fighting against IPOB because they don't want the people to be set free. Biafraland has become a colonial outpost of the Fulani caliphate thanks to these men. Those of them that planned Operation Python Dance last year and seeking to do same this year because of their hatred for Biafra; the Lagos/Abuja errand boys that sold their soul to the Devil in return for political office, must know that judgment is fast approaching. They and their families will be held accountable at the appointed time. There will be no mercy. Let them not say they were not warned.